Yes? Then you need us! Serving our customers from Asia and beyond Welcome to the all new online home of S2C2, one of a few centers worldwide specialising in the servicing and repair of such a diverse range of satcom RF equipment. We are your one stop service for cost effective and quality equipment repair/servicing. Being an authorised repair center for some of the biggest names in satcom RF is something we are very proud of, our team has more than 60 years of combined experience and we are located in Bangkok, the heart of South East Asia and the ASEAN community. We service/repair RF equipment up to 2.5KW. We repair all bands, S band, Insat C, Palapa C, Extended C, Super Extended C, X band, Dual Band, Ku Band, Super Extended Ku Band. Full pressure, vibration and water ingress testing. Complete refurbishment, cleaning, painting, metalwork and connector re-fits. FREE email support before, during and after each repair job. COMPLIMENTARY advice regarding installation and maintenance of satcom RF equipment. Factory and on site testing. CODAN AUTHORISED Repair Center We play an important role as part of Codan's Global Support Network, we offer satcom technical support and repair services for the Asia Pacific Region. XICOM AUTHORISED REPAIR CENTER We are the Xicom Service Center to serve, repair and provide technical support for Xicom product lines in Thailand and South East Asia. ANACOM AUTHORISED REPAIR CENTER We are the Anacom service center, providing technical support and repair for Anacom products worldwide. 23-25 MAY 2017 S2C2 will attend the annual CommunicAsia Exhibition at the Marina Bay Sands in Singapore. We hope to see you there. Contact us in advance to schedule a meeting. Multi-tier service plans are now availableWe now offer three levels of service plans. 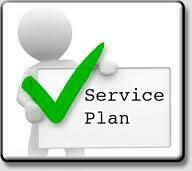 Custom tailored service plans are also availabe to better meet your requirements.